If you’ve strolled through the Bellevue Downtown Park recently, you might be wondering what all the construction is for, and why the pond has been drained. 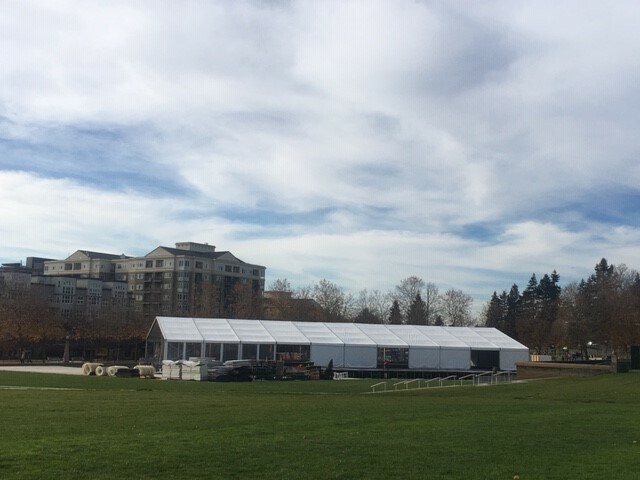 In less than two weeks, the giant white tent structure being built will transform into the Bellevue Downtown Ice Rink presented by Alaska Mileage Plan. This beloved Bellevue Magic Season tradition will be open to the public throughout the holiday season from November 23, 2018 to January 13, 2019. Once complete the festive open-air rink will be over 9,000 square feet, making it the region’s largest holiday ice skating experience and offering shelter for all-weather skating. The ice rink will feature a variety of events for all ages to enjoy, special discount offers, private party opportunities and more! Visit bellevueicerink.com for more information. 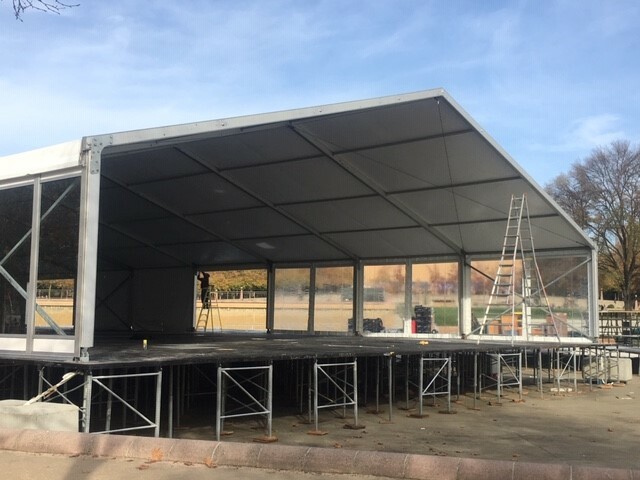 Construction for the ice rink began Monday, November 5 with Opening Day set for Friday, November 23. Lace up your skates and join us from 11 am - 11 pm! Tag us at #bellevueicerink. Promotions: Enjoy $2 off skate admission all season when you pay with your Alaska Airlines Visa Signature Card ®. See all Discount Offers. Special Events: Fun for all ages! Free Skate Mondays, Stroller Skating, Free Skate Lessons (with paid admission), Late Skate Fridays & Saturdays and more! 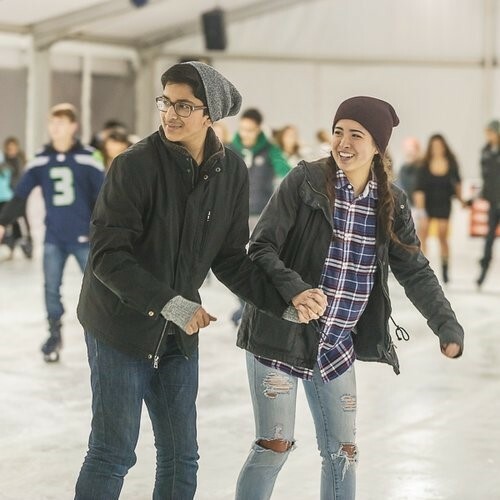 Learn more about ice rink Special Events and Free Skate Lessons. Schedule: Open for 52 consecutive days, hours vary by day. Schedule. Parking & Accessibility: The ice rinks location at Bellevue Downtown Park offers free parking and is a short walk to exciting dining options, premier shopping, and Snowflake Lane presented by The Bellevue Collection. Making it the perfect destination to skate, shop and celebrate during the holiday season! Directions & Parking. Private Parties: Host your next gathering at the ice rink! Whether it’s an office party, family event or birthday party, this once a year attraction will have your party guests buzzing with excitement. Learn more about Private Party opportunities.